Shawn will also share how you can get started on designing your ideal future, with three simple words. 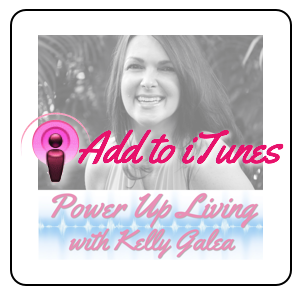 Join us for this sweet, fun and inspirational conversation by clicking on the Listen Now button below for the replay or Get Podcast to download on iTunes. 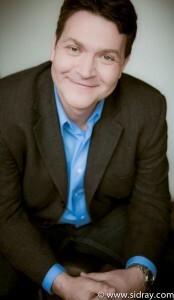 Shawn Shepheard is a speaker, advocate and champion for those who want to live happy and well with diabetes. Diagnosed with type one diabetes in 1997, Shawn knows first hand the challenges that face those living with diabetes; however, by sharing personal examples and experiences from his own journey, he has inspired many people to push the boundaries of what is possible in their own lives. Shawn was awarded the National Advocacy Leadership Award and Queen Elizabeth II Diamond Jubilee Medal to honor the significant contributions and achievements he has made to the field. He has spoken to over 10,000 people across North America, both those living with diabetes and the health care providers who care for them. When Shawn is not out and about sharing his inspiring message you’ll find him playing hockey (or cheering for his favorite team), running marathons in support of Team Diabetes or spending time with his family in his hometown of Toronto, Ontario, Canada. To learn more about Shawn, visit SugarFreeShawn.com. 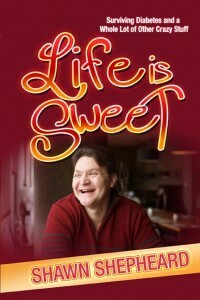 Read more of Shawn’s stories of surviving diabetes plus a lot of other entertaining & crazy stuff in his book, Life is Sweet. Get the free workbook Shawn mentioned – it’s at SugarFreeShawn.com. Watch the first episode of the Sugar Free Shawn Show for more about “What’s Your Why” here. Here are a couple of Shawn’s favorite quotes – enjoy! What three things are you going to commit to doing today to move you closer to your dreams?